No mess, no hassle, just beautiful results. 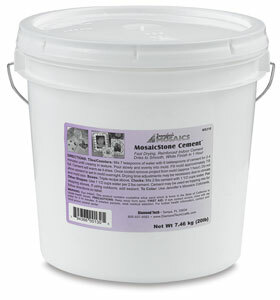 Mosaic Stone Cement is specially designed for use with mosaic glass projects. 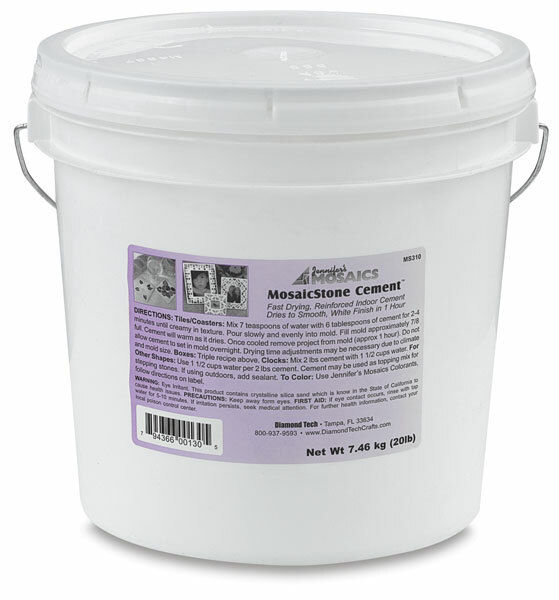 It's extremely strong (rubber cement will crack in shallow mosaic forms), and dries within one hour to a smooth, white finish.